I am not the biggest zucchini fan except when prepared like this. My roots are from Russia and my grandma used to make stuffed cabbage similar to this all the time. But, cabbage can be a pain to work with so zucchini is much easier. 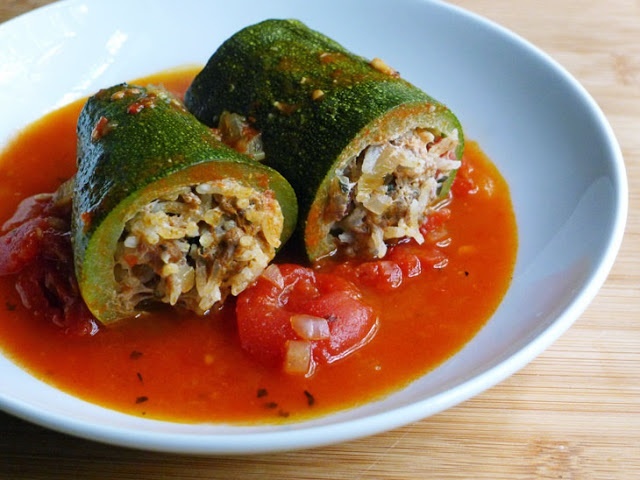 Check this recipe out by Cooking Weekends and let me know how it comes out….